Dec 7, 1941 - War explodes across the Pacific when the Japanese attack the American fleet at Pearl Harbor. By May 1942, Japan has spread across the Pacific and is threatening America's supply lines to Australia after building an airfield on the island of Guadalcanal. The United States counters with an ill-prepared occupation of Guadalcanal's airfield with the 1st Marine Division. The Japanese retaliate with vengence, cutting off the Marines by sea and pouring thousands of Japanese reinforcements. A desperate struggle ensues, as the Americans try to hold on to their tine foothold against the might of the Japanese Empire. 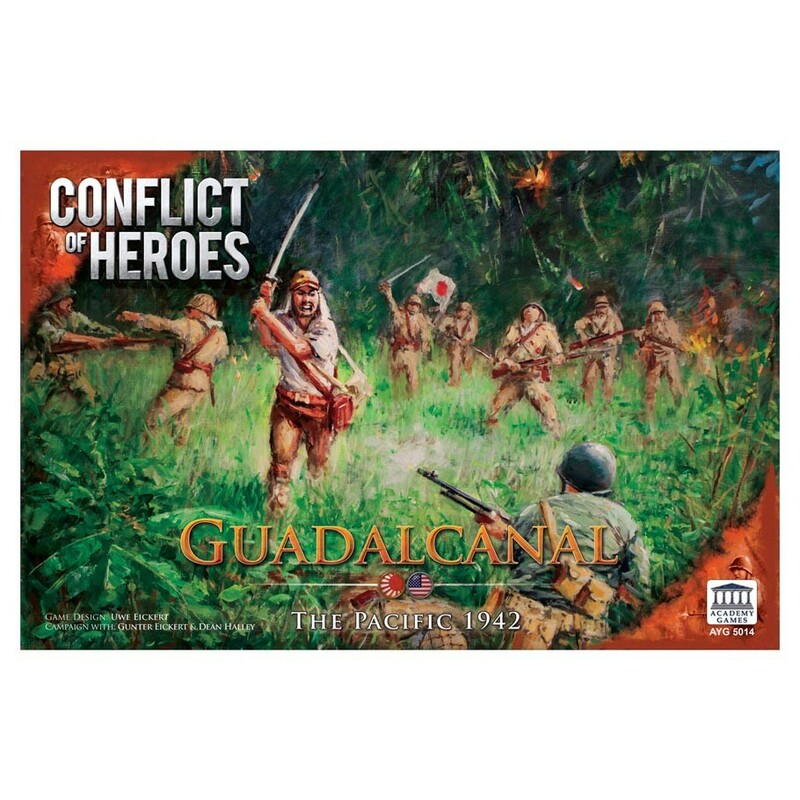 In Guadalcanal, the Americans track VPs, but the Japanese track Bushido. If a Japanese commander 'loses face' during battle, his command and men's morale can crumble. This is a groundbreaking new concept that forces players to think like their 1942 counterparts.